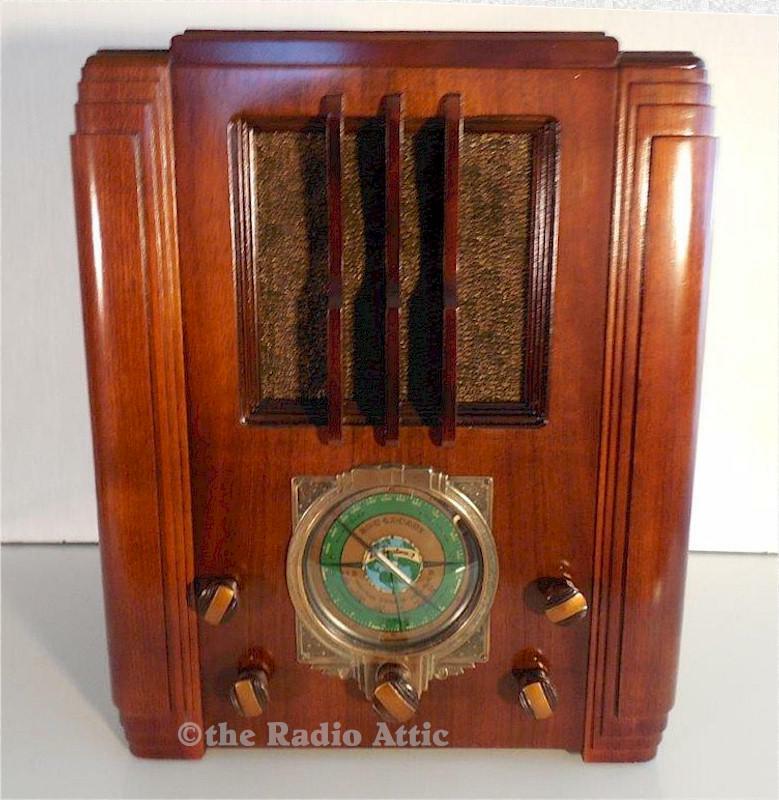 Bold styling and a fantastic dial on this 1936 Sears Silvertone. The eight-tube, three-band chassis features two-speed tuning, replacement of all wax and electrolytic capacitors, tubes and resistors checked, and alignment peaked. The cabinet was refinished with period correct toners and a semi-gloss lacquer. Great reception on all bands with a long wire antenna. It's a big set at 18"H x 14"W x 12"D.
You are visitor number 823 to this page.